Stellar Blue Technologies, a digital marketing firm in northeast Wisconsin, has launched a brand new Stellar Site for the Fox Cities Kidz Expo, a family-friendly event put together by the Appleton – Fox Cities Kiwanis Club of Appleton, WI. The focus of this event is to provide fun, educational, and adventurous activities to families at no cost. It was an honor to aid in the development of a fresh new website fit for all ages and viewers. The new Fox Cities Kidz Expo website is a happy balance between fun and professional design. The website plays off the red, blue, yellow, and green colors of the logo and emanates the energy of its event attendees. Our team at Stellar Blue worked to encapsulate that feeling of energy and excitement, bringing it out in the site through improved animations, photo galleries, and text effects. With the use of bright colors and vibrant photos, we were able to carry home that sense of fun for all ages to the Fox Cities Kidz Expo event website. This new site increases usability for sponsors and exhibitors as well. Previously, they needed to print and fill out a .pdf, then send it, along with a check in order to pay and register, via postal service. Now potential sponsors and exhibitors have access to web forms they can use to register AND pay online, making it easier than ever to become a part of the Fox Cities Kidz Expo. The Appleton – Fox Cities Kiwanis Club strives to provide free events for children and their families. This new website provides the most important information (date, location, free admission) about the Fox Cities Kidz Expo event immediately upon arrival on the Home page. In addition to this, the site properly displays their sponsors which have played a large role in making this event possible. Double exposure is provided to these sponsors as they are featured on both the Home and Sponsors pages. With the added features of this new website, the Kidz Expo is able to provide a professional, fun, energy-filled user experience to their viewers, sponsors, and exhibitors. Take a tour of their new website and tell us what you think! 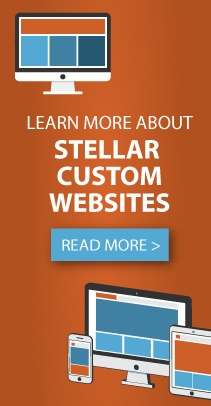 Are you interested to learn more about how Stellar Blue Technologies can help your website achieve optimal results? Contact us today!